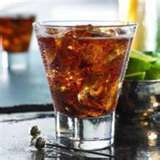 Psi U Special drink recipe made with Cola,Jack Daniels,. How to make a Psi U Special with all the instructions and ingredients. Brazen Hussy View This Recipe! Breakfast At Lucas&apos;s View This Recipe! Brett Hull View This Recipe! Brett&apos;s Usual View This Recipe! Brewhaus Special View This Recipe! Brewsky Sour View This Recipe!